Next month, I will become a father. I have never felt such a rush of excitement and utter terror. 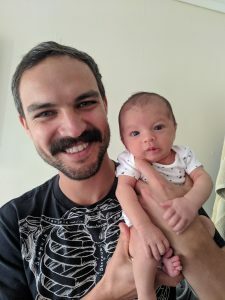 My experience with newborn babies is minimal, so I decided to become a student of birth and fatherhood before the baby arrives. Over the past few months, I have been exploring educational resources including birth classes, friends with newborns, meetings with a doula, and even solicited advice from uber drivers. Each of these resources are yielding multiple yet connected perspectives, resulting in my greater understanding of birth and fatherhood. I would like to share how this variety in perspectives and expertise has not only been valuable to me, but also is necessary to all great learning experiences. When designing your learning experience, you want to be able to learn deeply by learning in different ways, in different environments, and from different sources of expertise. Here are the insights that I gained about birth and fatherhood from four resources. 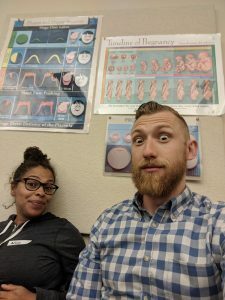 My wife and I attended a four-week birth class series at our hospital where we plan to have our child. The instructor of the class was in her fifties, had three kids herself, and was very knowledgeable about the birth process at the hospital. She also had these excellent props for us to play with, allowing us to simulate contractions by shooting a ping-pong ball out of a balloon (which doubles as an awesome party trick). There were also ten other couples in the class in various stages of their pregnancies who shared their experiences, hopes, and fears. They helped us realize how our experience is universal. In sum, the class allowed us to understand the biological and medical approach to birth, as well as connect with other soon-to-be parents. In a classroom (or online) setting, allowing the learners to share their experiences with one another is key. Additionally, the use of physical props was quite memorable. What sorts of hands-on learning would make your content come to life? For a real, hands-on experience, I had to actually spend some time with babies. My two close friends gave me the opportunity to hold and snuggle their newborns, giving me tips on how to hold and soothe them. 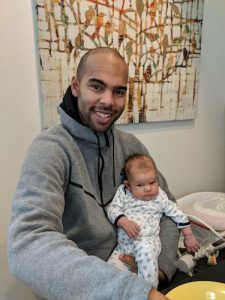 They also shared crucial things they learned along their journey, such as the value of a carseat/stroller combo, the importance of getting outside the house with the baby, and the key to saving your marriage (taking over all the chores of the house). Nothing made fatherhood feel more real than spending time with these babies. Seeing how my two friends approached fatherhood boosted my confidence that I, too, could handle this. Learning from peers is an invaluable component of how we design our courses at NovoEd. Learning from and with those going through similar experience leads to greater retention, enjoyment, and meaning-making. As we discuss in our 10 Most Valued Models of Training blog entry, social learning is becoming more critical for soft skills. I just hope it pays off for “swaddle skills” as well. With the advice from my friends (who had doulas at their births), my wife and I found our own doula. After a series of interviews, we settled on someone who was able to balance our Type A, over analytical personas with her own mellow, spiritual self. In stark contrast with the hospital birth class setting, our Doula approaches the birthing process from a spiritual and existential frame. With her, we explore mindsets, mantras, and ideas about creating a comfortable atmosphere in our home during labor. We talk about our emotional states leading up to the birth, and it feels like we have our own personal counselor supporting us through this process. By seeing birth and parenthood from an entirely new perspective, and drawing from her knowledge of birth practices and rituals from her Mexican heritage and culture, my wife and I have been able to open our eyes to the power of reframing and mindfulness practices in labor. While our classes taught us some physical labor positions, our doula provides the proper techniques for ensuring our minds will be in the right place during birth. When designing a learning experience, how can you expose the contradictions of a topic? How can you show both sides of an issue and allow your learners to be critical? When our doula detailed how the experience at the hospital could be influenced by western medicine dogma (drugs, interventions, etc. ), we were able to see two opposite sides of an issue and make our own choice. This, by itself, was empowering. It’s amazing how willingly fathers will share their advice, even though we may have only just met in the car. Like our doula, who comes from a background and perspective entirely different from mine, these drivers would share what they thought was crucial information based on their experiences. The more I’d take in, the more I could identify trends and patterns in the information. Ultimately, all the advice boils down to two key ideas: Give love and be helpful. In creating learning experiences, consider providing a series of resources for your learners to see if they can draw inferences or identify the trends. Rather than suggesting one way of performing a skill, allow them to explore a variety of ways for them to draw their own personal conclusions about what works for them. At NovoEd, we are giving our learners the most engaging online experience possible. This often involves coming up with creative team projects or activities. But in some cases, it involves finding a variety of subject matter experts to bring multiple perspectives and a deeper level of knowledge to a course. It’s not always possible to access a multitude of experts (especially if you’re limited by time). But when you can, it’s worth it. In a course I’m designing called “Using AI for HR To Enhance the Employee Experience,” we have the opportunity to feature a broad range of experts as faculty. These faculty members will share how AI is impacting their HR operations, but each with their own use case and industry. This will ultimately ensure our learners have a more complete understanding of how AI is utilized in HR, rather than hearing only from one perspective. Rather than boring our learners with videos of the same course instructor repeatedly, over a three-day period, the video production team brought together and filmed experts representing eleven different companies. By flying everyone in to one location, the team was able to utilize just one set, one video production team, and ensure that all of the experts were moving along the same timeline in preparation for their shoot. By giving learners multiple perspectives, they are enabled to establish their own perspective and make more meaningful decisions about how to use the skills/knowledge you’re providing. 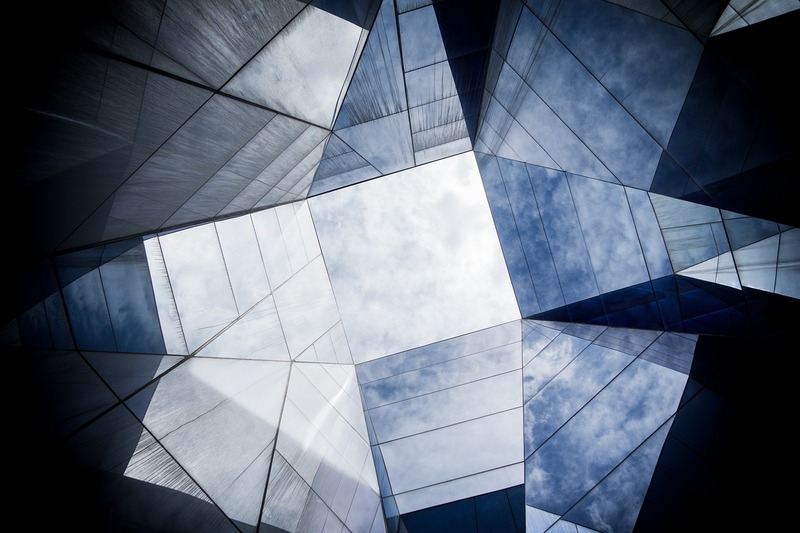 The practice of actively listening to and evaluating multiple perspectives helps build empathy in the learners — which is an increasingly important skill in the face of the Fourth Industrial Revolution to maintain one’s value in the workplace. Different voices are more interesting than one. Variety can lead to a more engaging learning experience. As interesting, funny, and intelligent as an instructor may be, they themselves have only their life experiences to draw from. Give your learners access to more insights that result from our collective human experience, as you can’t predict what lesson or insight might resonate most. As the day of my baby’s birth nears, I can’t help but feel a bit nervous. However, knowing that I’m doing what I can to prepare myself by learning from as many people and resources as I can, it makes me feel a little more at ease and prepared for this life-changing event.